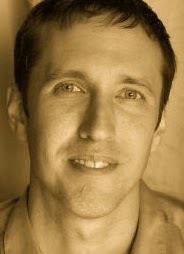 A Year of Being Here: Ed Pilolla: "Favorite Mug"
Your day is like your favorite mug. to survive in this world. let me be the seasoning. and fill it with spirits along the way. at the bottom for days. and not pick up on that unhappy look on your face. and drink in your story. "Favorite Mug" by Ed Pilolla. Text as published in Dragonfly: A Book of Love Letters (CreateSpace, 2010). 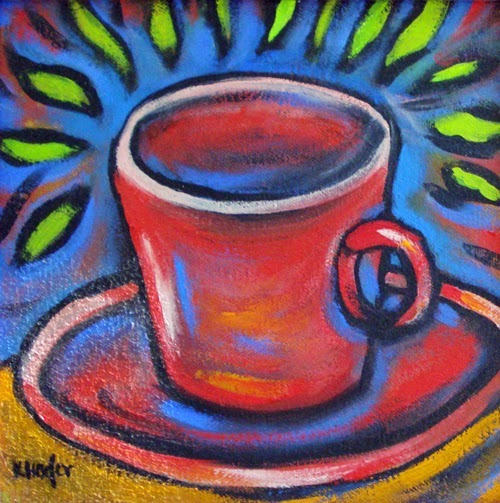 Art credit: "Red Coffee Mug," oil painting on canvas, by Kit Hofer. Smiling broadly at the "don't judge me" stanza! And even though it's only 3 am, I'm drinking from "my favorite mug." Thank you for posting this wonderful poem -- and for the image which serves as illustration! Smiling at 3am?! That makes ME smile.... You're very welcome, Thomas.